Scarlett: Scarlett’s treatments are down to every 28 days now. She has been tolerating everything quite well. She still suffers from constipation but we are hopefully getting a handle on that. She takes all of her medications like a champ – sometimes complaining but never refusing. Scarlett is a smart girl. She knows what ailments get her the good tasting medicine and what doesn’t. She knows what will get Mama and Daddy’s sympathy and what will get a “go back to bed”. She likes the “purple medicine” (Tylenol, which we got the ok to give to her on special occasions) and the tummy medicines (Zofran and Pepcid). She likes her “special lemonade” (Miralax, for constipation) but that’s probably just because she gets lemonade with breakfast. She resists the “blue medicine” (morphine) and “pink medicine” (Bactrim) but if we ignore her complaints, she takes them down. She must really like her daily oral chemo because she takes that excitedly even though she is sleeping when we give it to her. But, like I said, Scarlett is smart. She cries every night that her tummy hurts. Does it? She shouldn’t be nauseous but she could be from GERD or her daily chemo. She tells me her head hurts. Does it really? She is like the girl who cries wolf. We never know what to believe and what she is saying to avoid bedtime. So when she started complaining of her ear hurting, I gave it a few days. She said it only hurt on the outside, behind her ear. Since she likes to bend and twist and pull her ears when she is tired, I figured that was the cause. No big deal, go back to sleep. What I didn’t realize, is that she had a raging ear infection that was probably affecting her mastoid bone. That Friday, we sent the kids up north to stay with Nana and Papa. It was the first time we have allowed Scarlett to go since she has been sick but she was doing so well. I called my sister to be my surrogate medicine mom and left detailed instructions. They left our house at 12:30. At 4:00, my sister called to say that Scarlett had an ear infection but her temp was fine. (I should mention that Megan is audiologist and I had asked her to check Scarlett’s ear). The doctor prescribed an antibiotic and she was ok to stay. By 6:00, her temperature was 101 and my parents were rushing her to Green Bay. Oh, how quickly things can change. By the time I got to see her on Sunday, her doctor was talking about CT scans and her ear drum rupturing. She was in a lot of pain and was very uncomfortable. She spent five days in the hospital. For an ear infection. God I hate cancer. The good news is that her ear is healing. She is finished with her antibiotics and is complaining less about pain. She is constantly watched and analyzed regarding every bump, bruise, and complaint. The bad news after all of that fiasco is that her counts were very low. On Saturday, her ANC was 16. During maintenance, it should be above 1000. We don’t know whether the low ANC led to the infection or whether the infection caused the low ANC. Her doctor had the lab double check her blood smear for leukemic cells as that could have been another reason. Luckily, they did not find any. No matter the reason, that is one strike against her. 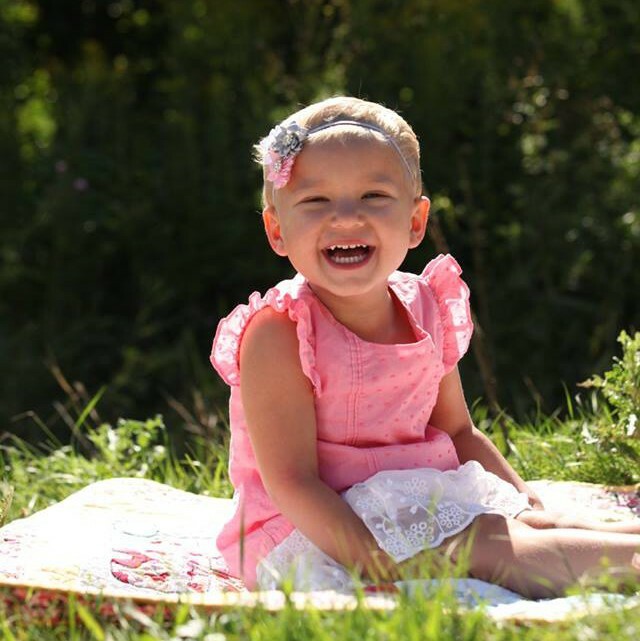 After a second time of low blood counts, her oral daily chemo dose will be cut in half. We pray that that never happens. Danielle: for as much as maintenance is “easier” for the patient, I think it is that much harder for the parent. Or for me at least. The time demands are decreased. Less appointments, less labs, less meds, less side effects. But that also means less appointments where a doctor is checking your child over. Less labs that tell you if your child is safe to play outside or go to the zoo or have their birthday party. And less meds to keep the cancer away. That equates to more worrying and more stress. During heavy treatment, I was so busy working and going back and forth to Green Bay and planning our schedule and giving meds that I didn’t have time to think about anything else. People don’t expect anything from you because you have “that child with cancer”. We hid out. Avoided everything. We were happy in our little bubble. Now the world is open again. I have some free time to think about what we want to do in the future, how we can give back, what we want our kids to learn from this. I have time to worry about that bruise that showed up on Scarlett’s arm yesterday. I have time to analyze every lab result and what it means. Scarlett and Evangeline turned three last Sunday. Scarlett’s personality has really developed the past couple of months. She is silly and has the best laugh! She smiles more and plays. She refuses to like any color except pink, always wants to wear skirts and have a flower in her hair. This morning I dressed us all in nice summery dresses and she said “now we are all princesses!” She gives great hugs, loves to read and is practicing writing her name. This week she rode her bike half way around the block before she got too tired. Evangeline is just a laughing machine. She loves to play, drive her brother’s car, ride her bike, sing at the top of her lungs, eat peanut butter and jelly sandwiches and play pretend. She is sassy and cuddly all at the same time. And that hair! How everyone loves that hair! All of these moments are so precious and we enjoy every minute with them. Their birthday was very special and filled with everyone that loves them. But I found myself angry as their birthday approached. We missed out all of that last year. We pretty much missed their whole second year. There were so many days that we didn’t see Evangeline. We were at work or the hospital and she was with someone else. And we went ten months where Scarlett didn’t laugh. Barely smiled. We didn’t see this wonderful personality grow and develop. It’s just another thing to add to the list of moments that cancer stole away from us. The weekend that Scarlett was in the hospital, we lost two of the children that we follow. We have never met either of them but we follow their stories and get updates occasionally through friends. These deaths really affected me. I cried, sobbing uncontrollably at my desk. I don’t know if it was because Scarlett was sick at the time or if I’m just tired. I’m tired of seeing kids die. I’m tired of hearing about new diagnoses. I’m tired of finding new stories and seeing the adorable bald faces and puffy cheeks. I’m tired of imagining how those mothers feel and how they wake up the next day. I’m tired of working in a field that should find a cure but won’t. I’m just plain tired of cancer.